Slip Sliding Away in Dual Lanes! Wild Splash has two lanes for twice the fun! 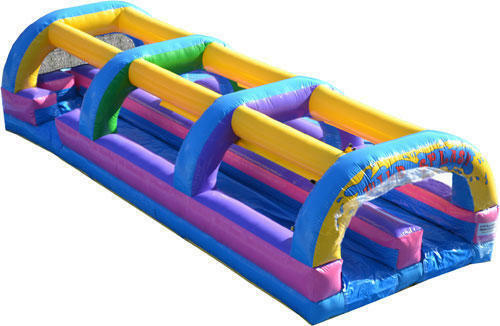 All your guests will have a great time racing to see who's the fastest on this awesome slip & slide rental.